Meet and greet on arrival at Mumbai airport by our representative who will transfer you to the Hotel, assist you in check in at the hotel, handover and explain all travel related documents. Morning transfer to the airport at 0630hrs to board a flight at 0820 to arrive Nagpur at 0950 hrs. Met at the Nagpur Airport by our driver, and then driven to Pench National Park 100 kms / 2 hours drive. Lunch at resort and around 1430hrs proceed for the afternoon game drive to the national park. 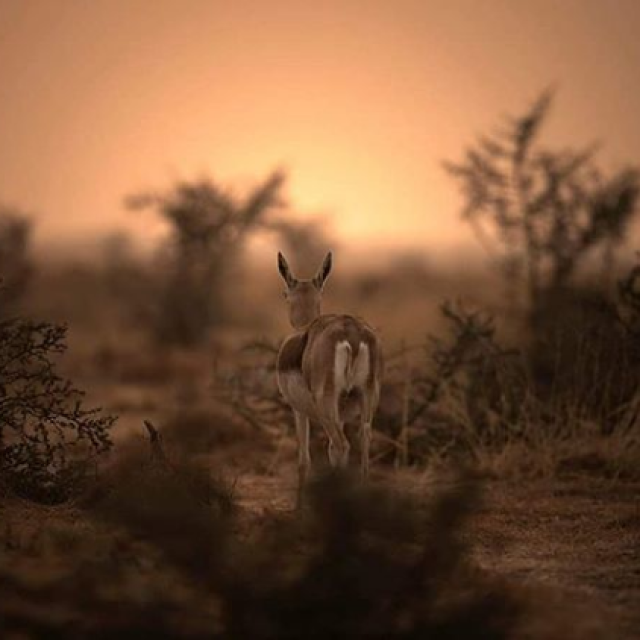 The safari starting time varies depending on the month of the year. Afternoon safaris at Maharastra side of the Pench National park because Madhya Pradesh side of the park remain closed on Wednesday for afternoon game drive. Afternoon game dirve are usually 3-4 hours, which ends just before sunset. Dinner and overnight stay at the lodge at in Pench. Breakfast and lunch at the hotel. Morning and afternoon Jeep safari to the National park. Pench welcomes you with open arms and without conditions. This park is located between four different Mountain Ranges - Aravali, Vindhyanchal, Satpura and Maikal. 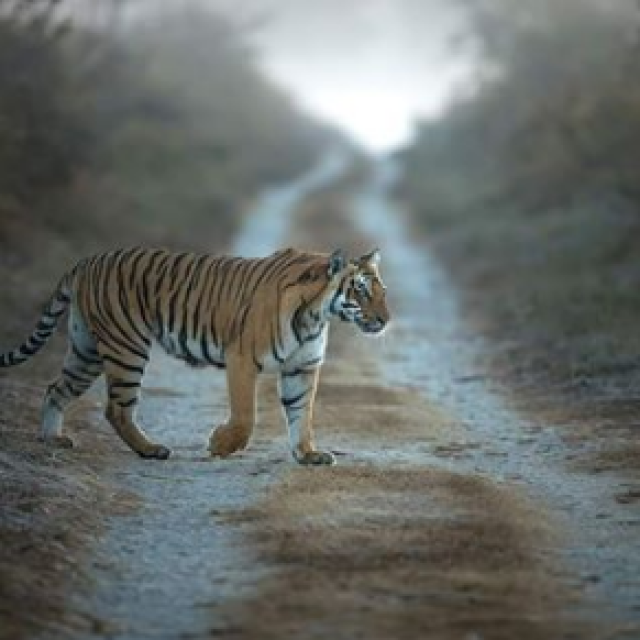 The tracks are smoother, the trees are thicker with dense undergrowth, perhaps one reason why the herbivore population here is larger in size compared to Kanha and Bandhavgarh. As a prey concentration is high along the Pench River, tiger usually inhabits and frequents this belt. Leopards though generally operate in the peripheral areas but are occasionally seen in the deep forest also. Jungle cats are commonly seen. Leopard cats, small Indian civets and palm civets are seen rarely. In Pench, Cheetal, Sambar, are commonly seen grazing on the open sites on roadsides and banks of river & reservoir. Jackals can be seen in search of food anywhere in the Park. Packs of upto 15 or more wild dog can be seen near Chhedia, Jamtara, Bodanala and Pyorthadi areas of the Reserve. Herds of gaur can be spotted near streams and bamboo patches commonly in summer months. Sloth beer occupy the rocky areas and favour mahul bel infested forest. Chnkara is present in very small numbers and is found in open areas around Turia, Telia and Dudhgaon villages. Morning game drive to the national park and after breakfast drive to Nagzira wildlife sanctuary 170 kms /4 hrs drive. On arrival check into the lodge. Afternoon bird watching near by resort area. Dinner and overnight stay at The Lodge. Breakfast and lunch at the hotel. Morning and afternoon Jeep safari to the Sanctauray agzira wildlife sanctuary is located between Bhandara district and Gondia district of Maharashtra Nagzira Wildlife Sanctuary is locked in the arms of nature and adorned with a picturesque landscape, luxuriant vegetation and serves as a living outdoor museum to explore and appreciate nature. The total length of the external boundary is 104.53 km out of which 74.93 km is an artificial boundary and 29.60 km length is natural boundary. As per the notification the external boundaries are as follows. This sanctuary has a number of fish, 34 species of mammals, 166 species of birds, 36 species of reptiles and four species of amphibians The invertebrate fauna includes, besides a number of insects and ant species. Wild animals found here are the tiger, leopard, bison, sambar, nilgai, chital, wild boar, sloth bear, Barking Deers, Mouse Deers and wild dog. Wild animals to spot are the tiger, panther, bison, sambar, nilgai, chital, wild boar, sloth bear and wild dog. Breakfast and lunch at the hotel. Morning and afternoon Jeep safari to the Sanctuary. The Nagzira wildlife sanctuary is a miraculously preserved “Green Oasis” in the eastern most part of the Maharashtra State and has a great importance from bio-diversity conservation point of view. This sanctuary is locked in the arms of nature and adorned with picturesque landscapes, luxuriant vegetation and serves as living outdoor museum to explore and appreciate nature. This wildlife sanctuary is indeed nature’s priceless asset and beckons One and all to enjoy its picturesque landscape, its scenic beauty, its pure and fresh air. Morning game drive to the national park and later depart for Kanha, 200kms, 4-5 hours drive. On arrival check into Chitvan Jungle Lodge, Kanha. Chitvan in Kanha is located right in the heart of India, you wish to see the rural, and tribal India, then you are at the right place. To see how people live in the 3rd largest and the fastest growing economy of the world is to be seen to be believed. Comparisons in the city and village life here is like day and night. The lodge will assist you in taking some small walks into the nearby area to understand the culture and stress-free life in a Indian village during your stay at no extra cost. Wake up at 0500hrs, tea coffee with biscuits, and proceed for the morning safari to the National park Kanha's sal and bamboo forests, rolling grasslands and meandering streams stretch over 940 sq km in dramatic natural splendour which form the core of the Kanha Tiger Reserve created in 1974 under Project Tiger. The park is the only habitat of the rare hardground Barasingha (Cervus Duvaceli Branderi). This is original Kipling country of which he wrote so vividly in his Jungle Book. The same abundance of wild life species exists today in Kanha National Park, as it must have when Kipling roamed these parts. Packed breakfast which comes from the Lodge is served at a designated spot and spread on the bonnet of the Safari vehicle. Enjoy your breakfast in the wilderness of Kanha. After seeing Kanha you will compliment yourself and us that this forest was included in your itinerary. The sheer beauty of this park along with the rich bio-diversity make this a must visit in your India programme. Continue your search for the elusive Tiger if you have not yet seen the same, and soak in the fresh, and energizing environment. Return from Safari around 1130hrs. Freshen up, and Lunch is served. Relax for an hour under the shade of a tree (if you so desire), or in the comforts of your bedroom. Afternoon national park close for the safari hence we can arrange your vsit to local tribal village and bord watching nearby resort and village. 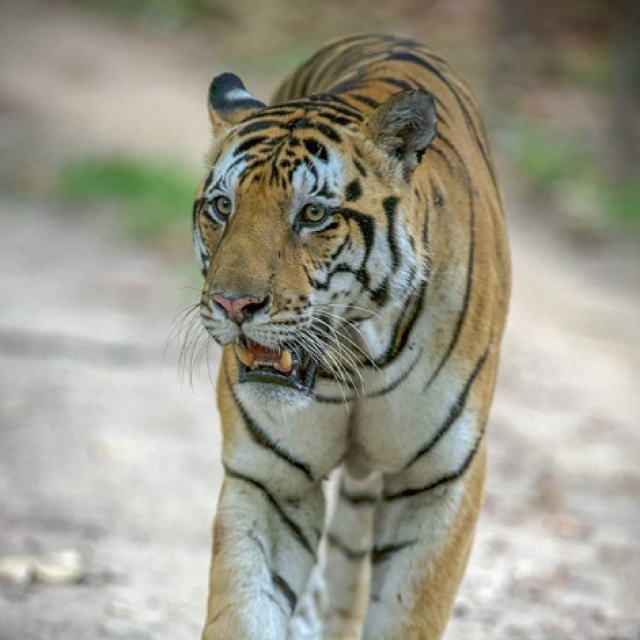 Kanha boasts of about 38 species of mammals. Some of the inhabitants of this park are the gaur, the largest of the world's cattle; the sambar, the largest Indian deer; and the chausingha, the only four-horned antelope in the world. Other frequent visitors include the Nilgai antelope, the sloth bear, the dhole, or Indian wild dog, and an occasional panther. Some 300 species of birds inhabit the park, that includes the storks, egrets, black ibis, raptors, owls,and the red-wattled lapwing . Return to the Lodge for Lunch by our organic farms. The dream and the reality are never so divorced as when eating outdoors. As soon as someone says “let’s eat outdoors”, the spirits lift. And, yes, the food has more flavor when eaten outdoors. In the afternoon proceed for another sojourn with the denizens of Kanha . Evening bar be que dinner. Overnight at Chitvan Jungle Lodge . Breakfast and lunch at the hotel. Morning and afternoon Jeep safari to the National park. Dinner and overnight at the lodge. Morning after breakfast transfer to Raipur 220 kms /4-5 hrs drive to board a flight to Kolkata at 1550 hrs. Arrive Kolkata at 1710 hrs and transfer to Hotel. Overnight at Kolkata. Morning after breakfast transfer to airport to board a flight to Guwahati at 0700hrs. Meeting and assistance on arrival at Guwahati airport at 0805 hrs and drive to Kaziranga National Park 250 kms/5hrs drive. On arrival check into the resort. Lunch at resort and afternoon game drive to the national park. Kaziranga National Park lies partly in Golaghat District and partly in Nagaon District of Assam. It is the oldest park in Assam and covers an area of 430 sq km along the river Brahmaputra in the North and the Karbi Ang long hills in the South. The National Highway 37 passes through the park area and tea estates, hemmed by table-top tea bushes. The Park is a world heritage site and was declared a national Park in 1974. The landscape is of sheer forest, tall elephant grass, rugged reeds, marshes and shallow pools. Kaziranga National Park a world heritage site is famous for the Great Indian one horned rhinoceros, the landscape of Kaziranga is of sheer forest, tall elephant grass, rugged reeds, marshes & shallow pools. It has been declared as National Park in 1974. Morning and afternoon game drives to the national park. Breakfast and lunch at the Resort. Kaziranga National Park is one of the last areas in eastern India undisturbed by a human presence. 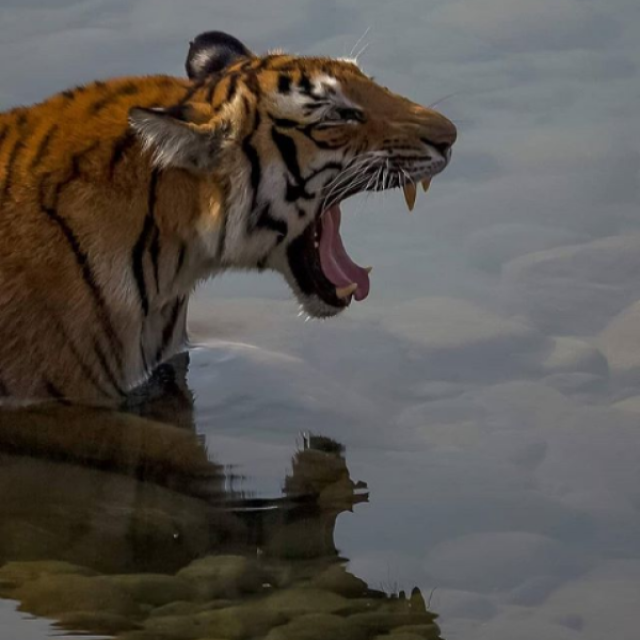 It is inhabited by the world’s largest population of one-horned rhinoceroses, as well as many mammals, including tiger, elephant, water buffalo, gaur, leopard cat, otter and monitor lizard. Some of the birds that can be commonly sighted are theflamingo, crane, grey-headed fishing eagle, whistling teal, crested serpent eagle, open-billed stork, swamp partridge, osprey, cormorant, heron and marsh harrier. Morning and afternoon game drives to the national park. Breakfast and lunch at the Resort. Dinner and overnight stay at the resort. Morning after breakfast drive to Guwahati 250kms to board a flight at 1425 hrs to arrive New Delhi at 1740 hrs. Meeting and assistance on arrival at New Delhi and transfer to the hotel in New Delhi. Note: The driving hours given above from one city to another are based on the normal conditions of the roads and may vary. Any break for Food / Tea / Toilets / Sightseeing on the way will take extra time than the above given hours. Kanha and Pench National park is closed every Wednesday for afternoon jeep safari while Nagzira remain clsoed on Thursday for both safari .